Bertschi School's curriculum is known for combining challenging core academics with "real world" activities that engage students in interdisciplinary learning. Our teachers work collaboratively to create learning projects driven by current research, faculty expertise, and the desire to make education fun and relevant and challenging. Multi-disciplinary lessons blend conscientious academic instruction with technology, art, drama, music, science, physical education, library, and Spanish. Classroom teachers work to architect rich experiences for children by partnering with skilled subject specialists and resource teachers who contribute across all grade levels, adding to our integral sense of on-campus community. Bertschi kids actively engage in hands-on projects, work collaboratively with other students, and celebrate the unique qualities of every student—exploring the dimensions of topics from many perspectives. Diverse cultures are studied through year-long, project-based studies to explore origins of families, aspects of community, history and celebrations. Our curriculum emphasizes diversity to broaden perspectives and encourages children to become active community members at Bertschi and beyond. 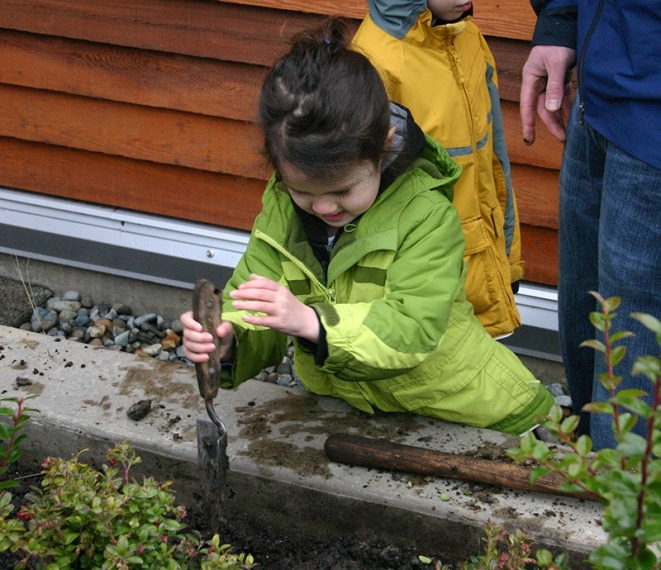 The seeds of environmental responsibility are planted right from the start in PreK. Utilizing young children's innate curiosity about the natural world, pre-kindergarteners embark on a year-long discovery of local plant life found in and around our homes, parks and school. This integrated study allows children to deepen understanding of the importance plants play in our daily lives. The PreK classroom has a dedicated space to document and give voice to children's observations, questions, experiments and learning about plants. The art of storytelling is fostered even in our youngest writers. Every Friday, parents join kindergarten classes to support our students in bringing their ideas to life on paper through words and art. 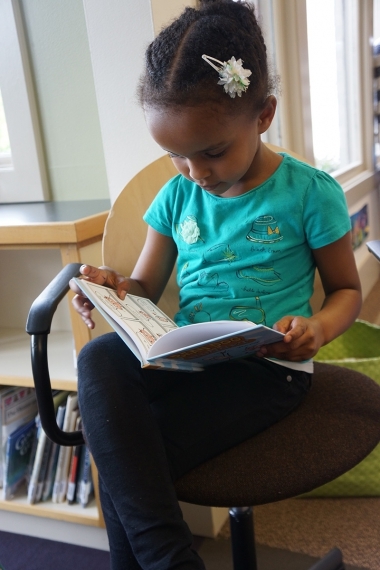 These young writers are encouraged to spin their tales through weekly story time in the library, sophisticated projects in art class, monthly self-portraits in the classroom and anywhere else inspiration may strike! Bertschi students’ love and enthusiasm for reading truly flourishes in first grade, as they are constantly empowered to read independently. With everything from special weekly phonics lessons led by the Director of Learning Services, to Home Reading Projects, author studies, choral reading, word attacks, and “just right” reading groups, children’s literature is explored deeply in first grade. Anacondas, spider monkeys, three-toed sloths and more! Second grade classes explore across science, library and art classes to discover the earth and life sciences of the Amazon rainforest. 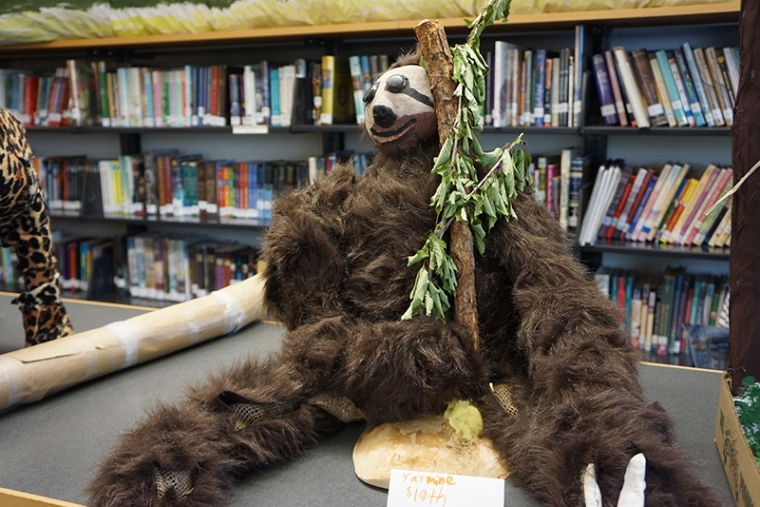 Transforming their classrooms into a living, breathing forest, students create lifelike animal replicas and write juicy descriptions of the rainforest ecosystems. The young scientists practice their public speaking through presentations of personal expertise on their chosen animal. Project-based learning explodes in 3rd grade. 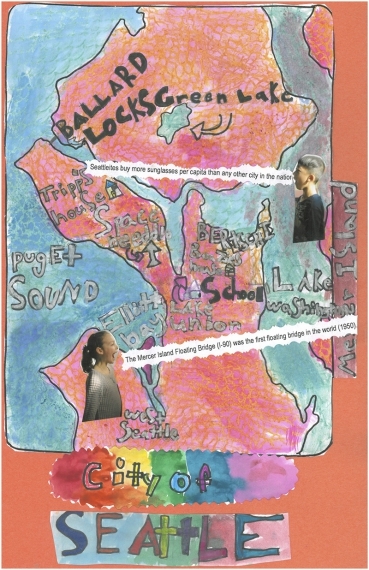 The study of Seattle history, geography and peoples is married with videography so each third grade student emerges as a budding documentarian. Co-taught by the third grade classroom teachers and Technology Integration Specialist, this is the year that students grow tremendously in their creative expression and storytelling skills through the use of technology. This multifaceted project explores portraiture, writing, literature and disability rights and awareness. The project beings with a presentation on disability culture and history by Stacie Siebrecht, Associate Director of Legal Advocacy at Disability Rights Washington. Through reading, art, and writing, students paint portraits and create inspiring biographical sketches of people with disabilities. The artistic portraits and biographies are exhibited at the Montlake branch of the Seattle Public Library. 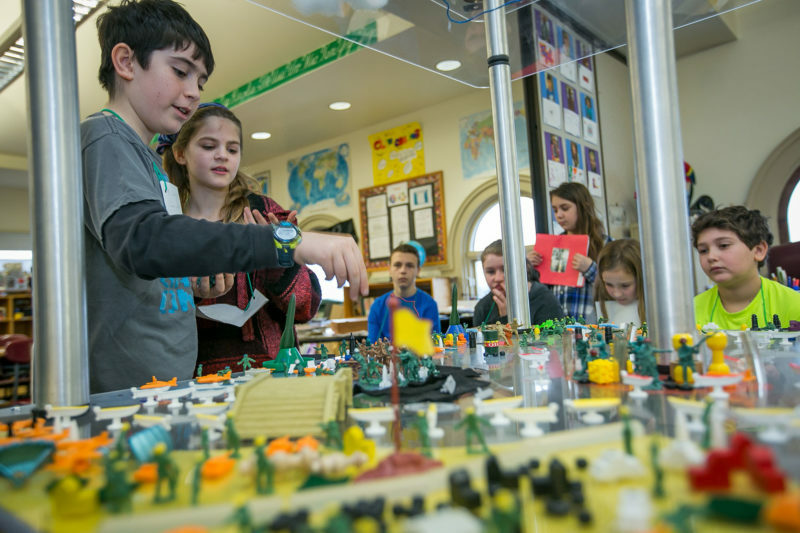 As a capstone project of the Bertschi experience, 5th grade students spend eight weeks immersed in a hands on geo-political simulation that allows them to explore global connectedness through politics, the economy, environmental strife, social crises and the imminent threat of war. As meaning is constructed out of the chaos, allegiances formed and negotiations navigated, students develop creative solutions in an attempt to live and prosper in an unknown frontier. PreK explores their curiosity for the natural world, spending time observing and experimenting with plants. 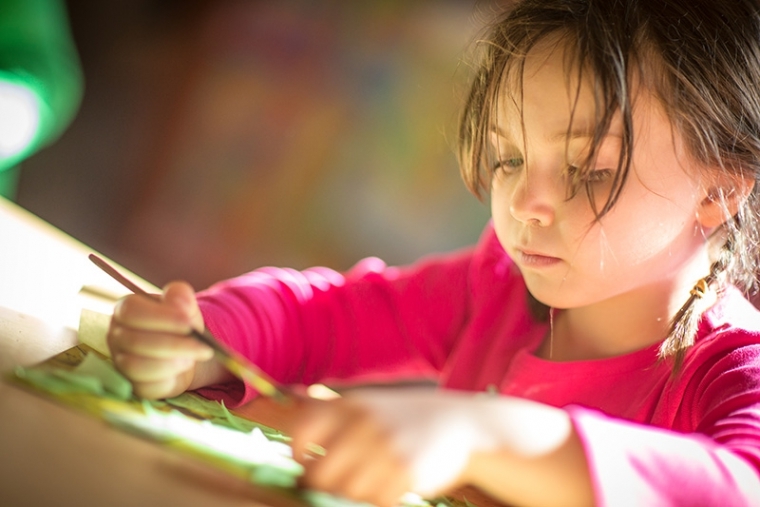 Kindergarteners express their big ideas on paper, through words and art. First graders jump right into independant reading, exploring children's literature with zeal. Second graders become experts on the rainforest ecosystem, and even creating lifelike models of favorite animals. Third graders experience video production and editing, creating their own documentaries about the history of their city. 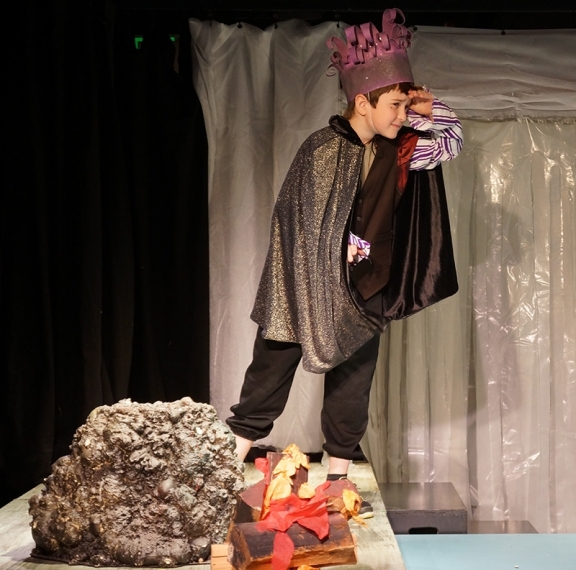 Fourth graders take over the drama lab and blow audiences away with their enthusiastic performances of Shakespeare's classics. The first school in Seattle to play, our fifth graders spend 8 weeks immersed in the challenges and triumphs ofJohn Hunter's World Peace Game. Explore curriculum offerings for every grade level.